Although this match-up pits a 3 vs. 6 this may prove to be a very good game to watch and does have upset potential in it. Asian Sensations have been a solid team all season and have few flaws in their armor. 1 – 4 they have above average bowlers that can compete with any one in the league. There only down side is that they do not have that one elite +180 bowler as many other teams do. Not one of their bowlers was able to crack the top ten in average. Force also has a solid team 1 – 4, if they all decide to show up. Mid season Force was struggling at the bottom of the SABowl standings without any sign of hope. Then that one fateful day Captain Prince made a promise that would change their season around. Prince had guaranteed that Force would make the playoffs, he restructured the team and was able to get 4 players to show every week and they slowly climbed the rankings. The two teams met twice this season with Asian Sensations dominating both times, as Force was shorthanded both times. If they had an award for most improved player Amin would definitely be in the running, he has even been mentioned as possible contender for MVP in the mid-season write-up. 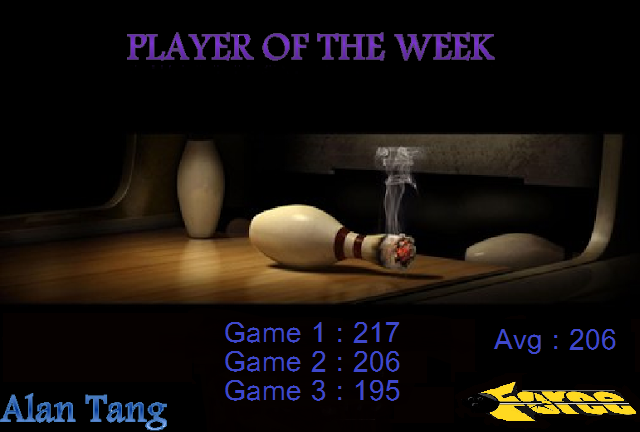 Week after week Amin has been able to increase his average which means he is becoming a stronger bowler as he goes and has very few down games. He has shown that he has +200 game potential and can put up a string of strikes before his opponent even knows what hit him. He also carries a 38-pin handicap into the playoffs, which, with his big game potential can be devastating. We mentioned earlier that Asian Sensations do not have an elite bowler on their team, but they also have a lead-off bowler that would easily be a 2 or 3 on another team. Abbas Dastgir has been a pleasant surprise for Force. He has a late addition after some of Force’s members went missing, but he was able to pick up the game rather quickly. Some may credit this to the Dastgir brothers who must have been coaching him throughout the season. He is new to the league but is already putting up solid games and even has a 192 high game for the season. Even with the +11 handicap advantage we see Amin taking 2 of 3 games, just look at Amin’s points; this guy wins more than he loses. Jin and Amin are pretty much the same type of bowler. They have the same average, same bowling style, and their names are even similar. What has been said about Amin can also be said about Jin, solid numbers and big game potential. He does not leave open frames and can hit the big strikes. 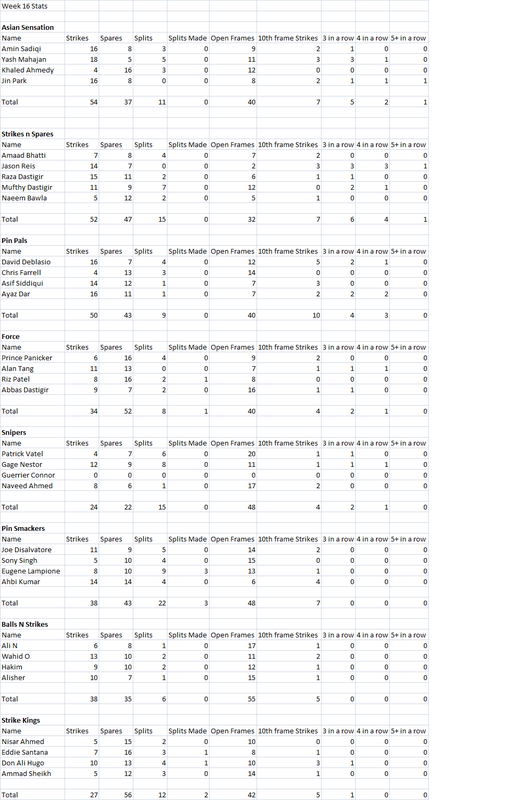 One staggering number for Jin is his points total, 11 points in 28 games which is not very good. What this means is that he is not consistently stepping up to take out his opponent across the lanes. If Prince is the main reason why Force is in the playoffs, Riz would be the second reason. When the team was plagued with no-shows, Riz was the only other player that consistently showed. Like many other players Riz purchased his own ball and altered his throwing style to change from a mediocre bowler to an above average bowler. Like his counterpart he has solid games and can easily close frames. He is still looking for his first +200 game this season. Again Force has the pin advantage but we se Jin talking 2 of 3 in this one. Khaled is the “Silent Assassin,” he puts up big games and flies under the radar as he does it. He has even flirted with perfection this year. Against any other 3 this writer would say Khaled would be the underdog, as his points to games ratio shows this. However in this instance he has more experience and game time vs his opponent. This writer saw Khaled playing first hand he was not bowling very well; so this prediction may be biased, but his average speaks for itself. You don't put up a + 170 average without bowling some big games consistently. Alan started showing later in the season and has come on strong fast. He is playing as if he has played all season and was even named player of the week. He has shown that he has +200 potential , but does he have enough games in to be consistent in a playoff environment? Head to head Khaled is clearly the better bowler but handicap is a factor and we see Alan being the X-Factor for Force. Alan takes 2 of 3. This match up is as close as it gets. Two bowlers of equal skill and ability going head to head. With handicap not being much of a factor, win scratch and you win the match-up. These two players can also handle their opponents, as they are both at the top of the list for points leaders. Yash has had a vast improvement from last fall season and has gone from an OK bowler to dominant anchor, he can not however have a below average stinker that we have seen from time to time. If Yash is not on his game an upset is definitely a possibility. Prince has been the quiet, consistent bowler that he always has been. He has put Force on his back and carried them to the playoffs. Who knows if any other team could be in their spot after playing with so many blinds in the season. He has added his patented Potato Throwing to his arsenal, which definitely has an effect on his opponents. I expect these bowlers to bowl their games and put up the numbers that you would expect of them. They will be 3 close games, but Prince takes 2 of 3. Many people are looking for this game to be a Force upset, and although it will be close. We see Asian Sensation taking 2 of 3 games and having the point advantage at the end of the day. Force: having everyone there (obviously). Alan Tang: Can Alan put up the big game that we have seen from him this season? We remember not too long ago Alan put up high numbers in the playoffs. We will see if he can do it again. Asian Sensations: Yash: Can Yash be a true leader and not just bowl his average, but put up a +600 series that he is capable of. Siddique Farooqi was flying solo tonight as he spoke about the NY Knicks. He gives you a quick rant about Valentines Day. He then talks about the NY Knicks Are the Knicks for real? Carmelo Anthony still an MVP candidate? What about Mike Woodson is he still the coach of the year? What about Iman Shumpert now that he is here what type of difference will he make? Are the Knicks a mirage? What happened to this team? What about the trade rumors? Do you make a trade or do you hold pat. What happened when Mike Dantoni was let go and Mike Woodson came in? What was the culture before then? Let's talk about the NBA All Star Game Michael Jordan's 50th birthday Lastly Siddique opened up the calls and talked about the NY Yankees and the season that they are expected to have. Two evenly matched teams who have had completely different seasons. BnS have the season lead 25-21 over SK. Strike Kings were expected to be a premier team with the combinations of Don Ali and Eddie. Based on our expectation preseason this team has been mediocre at best. BnS on the other hand came into the league with little expectations and have outdone what was expected. So how do these two teams stack up against one another? Nisar has done an admirable job all season long as leadoff. His biggest setback, as with all straight bowlers, is inconsistency. He’s been known to bowl in the mid to high 100s but also throw up a stinker. Ali N has been exactly what his average shows. Not much above or below that. Ali S on the other hand has been very inconsistent since trying his curve. No real advantage by either team in this matchup. We expect all players to step up their game with Nisar taking 2 out of 3. We all know Ammad can put a string of spares together. But, can he put a string of strikes together? Well that’s what it will take to beat Hakim. Hakim has slowly improved each week, getting use to his new curve and ball. The way Hakim has been bowing it will be hard to beat him. Hakim takes 2 out 3. Eddie has had a down season, once a top 5 bowler now not even in the top 10. Even with his struggles he is known to bowl some tremendous games. Which Eddie will show up the one who can easily bowl a 200 series or the one who bowl below the blind? Shumail sneaked up into the leader boards and currently sits in the top 5. Very consistent with his bowling, not known to blow out the competition or bowl any stinkers. Shumail will win 2 out of 3 but will get blown out the game he loses. Don has been Mr Consistent, with some style. He’s the 2nd best bowler in the league. Wahid has also crept up the leader boards recently getting in the top 10. Don being the superior bowler will get the job done taking 2 out 3 from Wahid, but it will be very close. SK – Eddie: He will be the deciding factor between a SK win or lose. Bowl a bad game or 2 and Sk will be in huge trouble. BnS – Hakim: Has been improving dramatically every week. He’s been bowling with a near 170 avg as of late with a handicap average of 163. If he continues to improve he can give BnS some much needed pins. Game 1 SK will blow out BnS with Eddie going off. Game 2 and 3 BnS will come back strong and Eddie will cool off. BnS will win game 2 comfortably; game 3 will be a close win. The Sensation have clinched the 3rd seed which sets up a series vs Cinderella and team Force. Can this team make back to back championship appearances? Or will the Shark and Co. look like dolphins and swim away from the match? They didn't bowl well but they also didn't have Shumail. By far the most dangerous team besides Strikes n Spares to win the championship. The only problem is teams usually don't win the championship their first time. We will see if Balls n Strikes will prove the writers wrong. It has not been pretty, but the Strike Kings have backed their way into the playoffs. Eddie and Don were incredibly off this week which is not a good sign. Now that its playoff time, we will see if the real Strike Kings will stand up. Here they come!!! This was the best week Strikes n Spares had in over a month as they crushed the Pin Pals. They are riding high with momtenum into the playoffs and as of now look unbeatable. As of now the only team that can beat Strikes n Spares would be Strikes n Spares. Talk about disappointment from the Pin Pals this week. With a chance to take over first place they laid an egg and lost 7-0. Is this the same team that was riding high, or did they just get hit with a reality check? There are so many words to describe the Pin Smackers. Overrated? Pathetic? Facing a 3 man Sniper team they had a chance to make the playoffs and chocked. Luckily the weather is nice so they can practice their golf game. Two weeks in a row they have played spoiler and have knocked the Pin Smackers out of the playoffs. I could only imagine if Snipers were in the playoffs. There is not one team that would want to face this team right now. Congrats to Pat for beating Ahbi 2 games out of 3. Both teams were playing for pride as Sensation clinched the 3rd seed and Balls n Strikes had the 4th seed. Balls n Strikes struggled without Shumail but we expect him to be back for the playoffs. Balls n Strikes being an expansion team will soon learn how much the pressure can mount of the SA Bowl playoffs. Asian Sensation bowled very well besides Khaled. Khaled has to pick it up during the playoffs or it can be an early exit as they are playing Prince and team Force. Expect Sensation to be prepping mentally and phyiscally during this week to get ready for the playoffs. Strikes and Spares wins game 1 7-0 to clinch the first seed in the playoffs. This will enable them to pick their opponent. All Strikes n Spares bowlers bowled amazing espically the temporary anchor Naeem Balwa. They are riding high with momentum entering the playoffs. Pin Pals got crushed in a much needed week to clinch the 2nd seed. Asif was struggling as you could see him practicing after the games were done. Without a major upset in the playoffs this could be the potential finals. Force needing to win a game stays alive and wins enough points to clinch the 6th seed in the playoffs. Force had all 4 guys get a 200 score with handicap in game 3, and Strike Kings collapsed. Only one bowler Eddie in game 2 reached the 200 mark. Strike Kings is a team known to collapse and choke under the pressure so we will see what happens with this team. Force will play Asian Sensation while Strike Kings will play Balls n Strikes. Pin Smackers are currently 10 points out of the playoffs which means they will need to win and have Force basically get swept. This is their playoffs and all 4 bowler will have to bring it. Amin called out Sony on Balls of fury last week saying he has been struggling. We will see if Sony can prove Amin wrong. Eugene and Sony both have to bring it if they want to advance. For Mr. 300 aka Abhi it's time to prove to the world that he can lead his team to the playoffs. Abhi throws great games but also struggles when the pressure is on the line. We will see if Abhi can match guerrier one on one. Snipers are currently in last place and have no where to go. They played spoiler last week beating Pin Smackers and they have the opportunity to play spoiler again. Gage and Guerrier both had great seasons and have one more chance to show what they are capable of. Like all the Sniper games this game will come down to Pat and Uday. If they bowl above their average, Snipers have a great chance once again pulling an upset. Prediction- Snipers will win taking 14 points knocking the Pin Smackers out of the playoffs. Heel of the week goes to Prince "Jorge" Panicker. He is throwing a curse onto Don Ali in the 10th Frame? Does it work? Date: February 17, 2013, Sunday @ 10 AM. Price: $20/person includes shoes, 2 hours of bowling, 2 slices of pizzas and soda (half of the price goes toward Pawan's charity). Please let me know if any of you can make it, we are collecting head counts so that we have reservations for the lanes. Payment will be collected on the day of the charity. Feel free to invite others. Please again, email or text me with total people you coming with for lanes reservations. Position week recap ! Sensations are trying to see if they can creep into the 2nd spot and Balls n Strikes are trying to push hard in trying to see if they can keep a 1 point lead of 4th place . Adam started in the leadoff spot because of Jins rear wheel drive car is useless in the aftermath of the storm. Adam subbed in and did a great job by beating Ali N. 193-182 but unfortunalty that would be the lone point that the Sensations took in game one. Amin vs Ali S. - Amin bowled a pathetic 123 scratch to Ali S. 135. Ali has been throwing the ball with a slight hook and is learning how to throw it consistantly. Ali S blew out Amin with his healthy handicap in game 1 and many more to come. Khaled vs Hakim- Hakim had a rough 1st game including Khaled but because of a better handicap score Hakim took game 1. Khaled"s 149 scratch to Hakims 147 but the handicap came to fruition (26-Khaled & 39-Hakim) but Khaled nightmare day was not over. Wahid vs Yash - Best Anchors in the game but only 1 came to play , Wahid scored a 214 scratch to Yash's..................................106 ! Yes a 106 ! It was obvious who won but Yash"s double gutter in 1 frame pretty much explains this game for the Sensation. This would be Adam"s only loss of the day and it comes in the hand to the eldest bowler in our league who bowled a 107 but with a 80 pin handicap beat Adam by 5 pins 187 to 182. Adam had a chance in the 10th frame to take the point but missed a spare in which resulted in his loss. Amin bowled a 142 to Ali"s 136 but the handicap put Ali in top in game 2 192-179. Amin just was not able to put strike"s or spares together and Ali did just enough to win Game 2. Hakim turned things around by bowling a 210 scratch. Khaled"s game 1 struggle's rolled over to game 2 with a very "SILENT"score of a 136 . Yash sort of redeemed himself but lost a very tight matchup by a score of 186-184 but the good sign was he was coming out of his funk . Adam took his 2nd point of the day by scoring a 180 scratch to Ali N 96 , Adam did a admirable job from a sub by winniing 2 out of 3 pts from the leadoff spot. This was close to the 10th frame as Ali S had a open frame in the 10th but Amin did not close which resluted him to lose by 3 pins 209-206. That capped off Amin"s pathetic show and losing ALL 3 points to a bowler that is still learning his game. Props has to be given to Ali S. who bowled a great series. Hakim was riding his 2nd game mojo to the 3rd game as he scored a 201 scratch to Khaled"s 151 ! Khaled was not on his game as the lanes was not to his liking and could not find his "spot." Hakim found his and took all 3 points and kept Khaled "SILENT"
Yash channeled his focus on the pins rather than the heckling he was recieveing around him and bowled a 203 scratch to Wahid"s respectable 192. Yash took his lone point from Wahid but i think with no bowling in the next 2 weeks he will hear more about his Game 1 highlights than game 3. Obviously Sensations other than a sub did not show up until the last game. Balls n Strikes showed what every good team does , which is to beat an opponent even though they did not put up thier strongest lineup. 'THE MAILMAN"aka Shumail was MIA, but came away with total pins and 2 out of 3 games ! The Sensations were not on their game this week but this looks like a rematch in the final week of position round. They can redeem themselves and go into the playoffs feeling good because the 2nd seed is nowhere in sight thanks to their abysmal showing. I don't know if this was just an off game but the Sensation have to get it together. Playoffs are 2 weeks away and this is not the time to forget how to bowl. Hey what happened shark? I mean dolphin. I dont know whats more pathetic. Eddie's bowling or Strike Kings losing 6-1 in game two to a 3 man force team. The Danger zone is approaching as if they lose to Pin Pals next week they will be the number 2 seed. This will set up a most likely second round matchup vs Balls n Strikes. The pressure is on all of SNS to prove to the world they can in fact handle the pressure. What will happen? We will see. What is there to say? Abbas has a headache aka a hangover? Aww. Riz can't wake up early? Awwww. Matt uhhhhhhhh im hungry? It's almost like Force is trying their best not to make the playoffs. Unless a miracle happens the team that went to the finals will be out of the playoffs. Abhi, Sony, and Eugene will be watching the playoffs from the sideline. The word everyone is looking for is pathetic. This writer is very impressed with Snipers this week. They could of not showed up to bowl, but they bowled their hearts out. They took out the Pin Smackers in a statement game showing the world that they are here to fight to the finish. Big ups to Gage and Guerrier on this victory. Our game of the week featured the 1st place team SnS vs the 2nd seed Pin Pals in a much anticipated match up. The previous (and only) time these two teams met SnS walked away with a 1-point victory. This week would prove different. This match-up was against 2 teams that have been moving in the opposite directions, SnS had lost their previous 2 weeks while Pin Pals have been on cruise control. Pin Pals were missing two of their best players this week, their captain Ayaz “Daddy” Dar and Ayaz’s mouth. It’s been said that Ayaz’s mouth is the 5th man on the Pin Pals team as his squawking can affect even the best bowlers’ games. With Ayaz this was projected to be a close match up, without him many predicted that it should be an easy win for SnS. Game 1 – With the known absence of Ayaz perhaps SnS did not take the game serious enough. 3 of the SnS starters came late missing practice completely and it showed for some. In a strange move Pin Pals choose to place Sid “The Kid” at the anchor position to face Jason Reis instead of potential MVP Asif Siddiqui who has been on fire the last few weeks. Amaad B. had a rough game bowling well below his average with a 129, even if he had bowled to his potential it most likely would not have been enough as Chris “Chrisanity” bowled a monster 208 scratch which combined with his handicap is just about unbeatable by anyone. Chris showed that his +200 game from previous weeks is not an apparition and that if he is on can reach that mark. Raza and David bowled decent games of 151 vs 149 respectively with David’s handicap advantage proving to be the difference. Mufty came out on fire nailing strike after strike and really put pressure on Asif who had not lost a match-up since we cannot even remember. Asif found his strike throw a little too late as Mufty bowled a 234 and took the point. At anchor Jason Reis did what he does and effortlessly bowled a 236, Sid put in a good effort, and with coaching from Asif in between throws bowled a 145 and just came up short. Pin Pals take game one showing that even without their captain to will them on, they can still win it and perhaps rattled SnS. Game 2 – Game 2 SnS benched Amaad for Naeem which turned out to be a good decision. Naeem came out putting up a spare filled 182 vs Chris’ solid 157. Raza decided to turn it up in game 2 and just came up shy of the 200 mark with a 192. David put serious pressure on Raza finishing off with a 4-bagger and 168, but Raza with ice water in his veins closed the 10th to take the point. Mufty continued his hot streak into game 2, but cooled off mid way through finishing with a 166. With the handicap it just wasn’t enough to top Asif’s 196 whom at times had trouble finding his strike ball yet still manages to put up good numbers. Game 2 is where Pin Pals’ secret weapon came into play as Sid again put up a solid 143, with handicap it bumps him to a 210 which means Jason must put up a +200 game just to have a chance. Jason did post a +200 score of 205, but it was five pins shy of Sid for the point. Reis is used to playing co-anchors across the league who may have only a few pin advantage on him, but this just shows how difficult it can be to go up against someone with a high handicap advantage. SnS take game 2, leaving the score tied at 7 – 7 going into Game 3. Game 3 – You could say that Pin Pals were playing with house money going into Game 3 as they had already taken 1 win away from SnS. With SnS’s first place lead slowly being chipped away week by week this turned out to be a huge game. The best lead-off bowler in the league remained on the bench again and Naeem made sure that it was not the wrong decision putting up a 193 scratch, his high game of the season. After starting hot Chris ran into a brick wall named Naeem and was not able to take the point. After posting a good game Raza followed it up with a 124 stinker, which will beat pretty much nobody. David put in another solid game of 159 and taking the battle of the #2’s this week. Mufty again was throwing strikes like it was his business and finished with a 201, but as many teams have found out Asif just gets better game-by-game as he gets more and more comfortable in the lanes. Asif finishes with another +200 game of 220. Mufty was close to taking the point with handicap but pulled out a split in the 10th frame while Asif turkeys out. By the 8th frame Reis was on his way to earning himself a nickname as he was at 110, he managed to 4-bagger out to salvage an other-wise disaster of a game. That meant Sid with his handicap would only need to post a 104 to take the point. Instead he bowled his best game of the day with a 148 and taking 2 out of three points away from the best bowler in the league. Amaad/Naeem – Amaad did not have it today while Naeem bowled the best he has ever. Does this mean we may see someone new at the lead-off spot for SnS? I think not, Ammad is arguably the best lead-off bowler in the league and his track record speaks for itself. Chris – Once again Chris eclipsed the 200 mark and with his higher than average handicap it is just plain unfair to anyone he faces. He has also become pretty solid at his spares and will be a huge key for the Pin Pals in the post season. Raza – Sunday has the tale of 3 Raza’s The Good (192), The Bad (Decent) 151, and the Ugly (124). SnS needs the Good Raza to come out if they want to be successful. David – David put up 3 solid, yet unremarkable games and bowled above his average. Right side spares are David’s Achilles heel, if he practices that right side of the lane and somehow figures those pins out, added along with his effortless curve and decent handicap, no one in the league is beating him. Mufty – Aside from a slight stumble in game 2 Mufty has on fire and consistently was in the pocket on Sunday. He is a dangerous setup man that can run off solid strike after strike after strike. Asif – Week after week Asif is solidifying his position as the leagues MVP, and continued this week. He has been raising his average and can definitely be considering among the leagues elite. Jason – The best bowler in the league vs. high handicap, high handicap wins this week. We will see if he has a better chance in the final week when he does not have so many pins to overcome. Final Thought – With the Pin Pals win SnS’s 1st place lead which they have held for pretty much the entire season is in serious jeopardy in the final week, and the Pin Pals can only get better with their captain Ayaz returning. SnS need a win in the final week as they have now lost 3 in a row and do not want to back into a first round bye for the playoffs, (both teams today solidified first round byes in the playoffs). What makes the Pin Pals run so incredible is that throughout the entire season they have never faced a short-handed team in any game, which many would say, are easy points, where-as other teams have faced off against blinds in 2 or even 3 weeks. 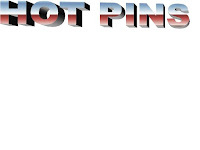 Aside from being swept the first two weeks of the season, which may be attributed to bowler rust, the only other loss the Pin Pals have this season was the 1-point loss against SnS mentioned earlier. They may have shown today that they really are the best team in the league. Force fielded only three players – but what else is new? 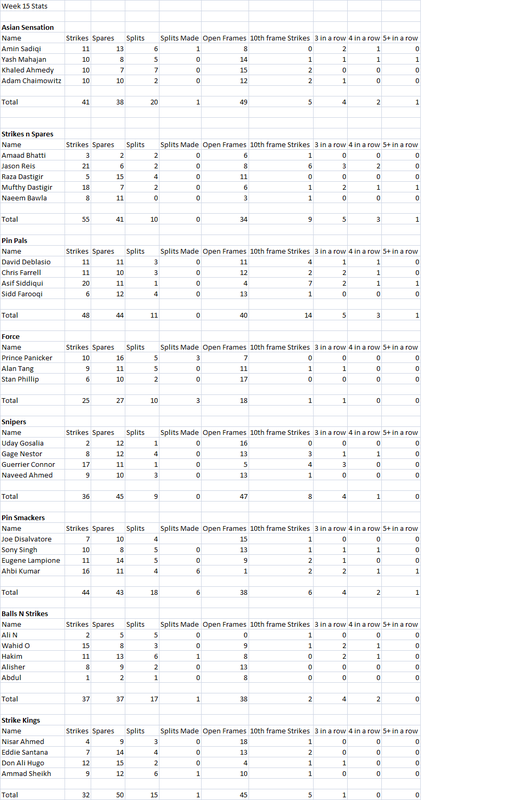 Prince did sweep his individual points but Ammad cancelled that out, winning three as well. The Strike Kings were unable to make a clean match sweep however Ammad stepped up to lead the team in total pins above average for the day. The lanes were a bit less forgiving than is customary for East Meadow. The lanes were somewhat dry halfway down leading to many splits and spare near misses. Sony’s photo-shoots (until he was ordered to change his position) didn’t seem to affect anyone. In Game I, the Strike Kings bowled terribly, except for Ammad. Ammad bowled a 179 easily beating the blind – who somehow just can’t get out of his 150 streak. While Nisar did get his point against Stan (124 vs. 109), the luck stopped there. Don Ali lost to Prince (180 vs. 165+handicap) while Eddie lost to Alan (156 vs. 193). Strike Kings win with a lackluster performance. Game II saw a bit more action. Stan came back to bowl a solid 171 vs. Nisar’s 110. Ammad’s score dipped a bit to 145 but he still beat the blind with handicap. Don Ali lost to Prince again (187 vs. 191). Eddie bowled a paltry 136, losing to Alan’s 134 (+ handicap). All in all it was a very boring game, one which the Strike Kings should have easily won. Force wins by 52 pins. Game III would be the decider for total pins. Nisar and Stan tie scratch with a 135 each but Nisar takes the point as he has the larger handicap. Ammad comes back with a solid 169 and takes his final point from the blind. Meanwhile Don Ali loses again to Prince (187 vs. 192). Eddie cracks above his average with a 181, taking his point from Alan. Strike Kings win by 80 pins, easily taking total pins in the process. Both teams faced their usual demons in this matchup – Force lacked players while the Strike Kings can’t get everyone to bowl consistently well when needed. Ammad has show more and more that he must be taken seriously. He had a few long strings of spares today (and one of strikes also). He made at least one tough split as well. Strike Kings do well on paper (taking 14 points) but in reality should have taken at least 19 points (game II and a couple more by way of Don Ali / Eddie). The is a matchup where a very underachieving team in Strike Kings is facing a team in Force that can't field a full roster. Strike Kings is led by Don Ali who is the number two bowler in the league. He averages over a 200 and can easily bowl strike after strike. Whatever Don Ali bowls this weekend won't really matter. This matchup will all depend on his supporting cast in Ammad, Nisar, and Eddie. Ammad has bowled better every week as we saw a game over 200 last week. Ammad though is capable of rolling a stinker and bowling in the 120 range. Nisar is very inconsistent who can bowl a 180, but can easily bowl a 110.Nisar will be their leadoff man who has to set the tempo for this team. The most overrated player has to be Eddie who has been bowling very poorly this season. He will be matched up against Prince, and Eddie's bowling with either pave the way to victory or pave the way to a defeat. A team is only as strong as it's weakest link, so we will see what this supporting cast can do. Force on the other hand is a team that decides they don't want to show up for the match. When they bowl with 4 guys they are almost unbeatable. The problem is all season 3 guys have only showed up to bowl. If you do the math 4 is better than 3 and that is why Force is been struggling. Force is led by their top dog Prince who has bowled well this season. Prince has taken a lot of scrunity from the league but, it is not his fault the team is bowling poorly. Matt and Riz have decided they rather go to the clubs and party than bowl. They will have to show up and bowl well if they want to win. Abbas as been the surprise of the league so far making a huge impact for team Force. He has bowled very consistent and gives Prince that number two role that he needs. The prediction is, if Force brings 4 players, Force will take no more than 14 points. If Force brings 3 players then Strike Kings will take at least 17. This matchup is between two teams that have complete opposite personalities. One team is very loud in Asian Sensation, while Balls n Strikes is quieter than a mouse. Asian Sensation is sitting nicely in the 3rd position where they will most likely be entering the post season. Yash Mahajan has not only been loud with his mouth, but also loud with his balls. 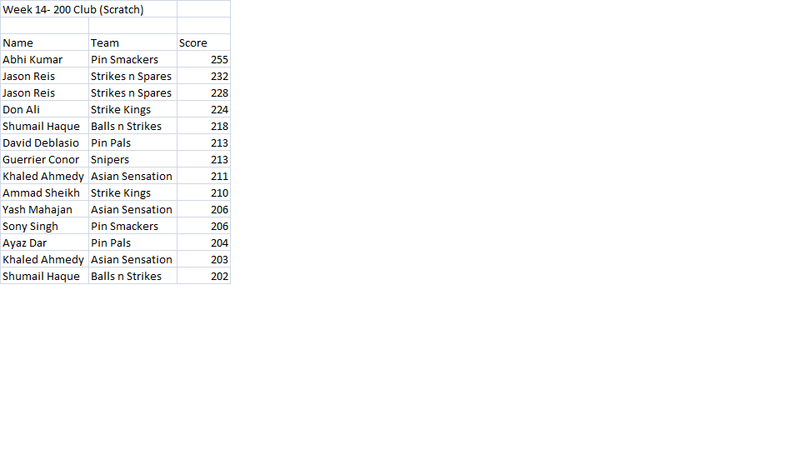 Yash is currently in 2nd in points won which shows he can easily win his match on any day. Besides Amaad from Strikes n Spares Amin is the next best leadoff man in the game. He has the potential to get on a run with strikes and easily break the 200 barrier. Khaled and Jin will be the x factors for Asian Sensation. If they could bowl well the Sensation should be able to come out of East Meadow with a victory. Balls n Strikes has surprised many teams this year. They are an expansion team and have risen to the 4th place slot in the standings. They are only one point ahead of Strike Kings so Balls n Strikes will have to come out with a victory. They are led byShumail aka the mailman who is the most underrated bowler in the game. He quietly bowls 200's in his sleep and he will beat his opponent before they wake up. Wahid is their anchor and front runner for rooke of the year who has beaten Jason aka the dictator on multiple occasions. Wahid does not miss so Yash will have to bowl his best. Hakim and Alisher will be the x factors for this team. Hakim has potential to bowl a big game but also has the potential to stink up the joint. Alisher has improved his game lately by getting a new bowling ball. We will see how Alisher responds to the pressure. The key to this matchup is if Balls n Strikes can block out Asian Sensation's noise that they will bring. They will talk a lot and try to get into their heads. It is up to Shumail and Co. to quiet them down with stringing strikes together. We are calling a Balls n Strikes upset take 16 points in this matchup. We are also calling Wahid taking at least 2 matchup points from Yash. If there ever was a matchup you didn't want to watch its Pin Smackers vs Snipers. Both teams have very big names but both teams are bowling awful. 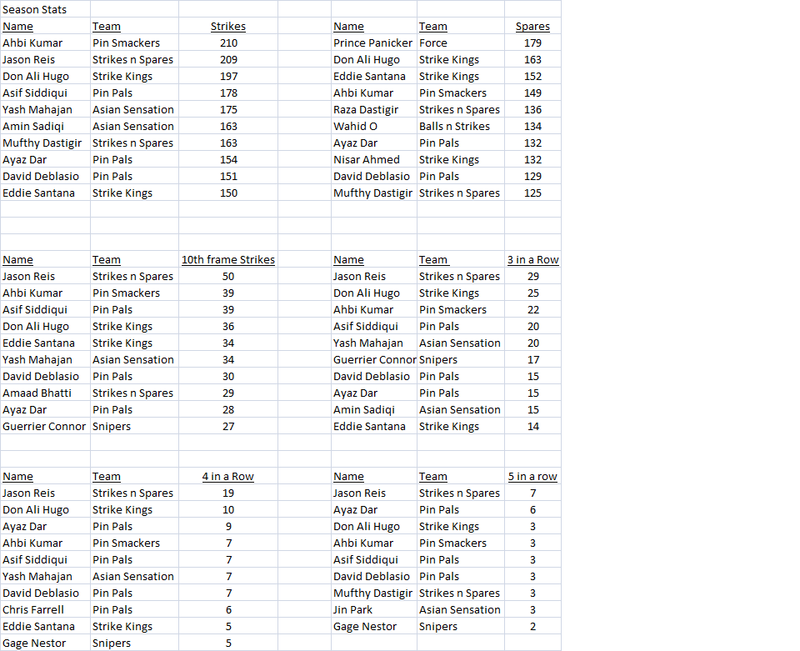 Snipers are in dead last with only golfing on their mind but Pin Smackers is the most dissapointed team in this league. Pin Smackers are currently only 11 points out of the playoffs but have been struggling all season. Abhi known as Mr. 300 has done his best trying to lead his team but to no avail. Eugene who was ranked in the 10th in pre season rankings has been bowling dreadful. Either Eugene forgot how to bowl or something is serious wrong. Eugene will need a strong performance if the Smackers want to win this matchup. Sneaky Sneaky Sony has been the mouth and the energy of this team. Sony will get Abhi going and they will need him to do his part. I expect Sony to bring it this game. Snipers are a story you don't want to read. They have big names in Guerrier and Gage but are strugglnig big time. They are 40 points behind 7th place and basically have picked out their vacation spot during the off season. There are positives to this team though. Uday and Pat seem like they are getting better every week. Every week one of them bowls a 130+ game which helps this team out. The problem seems to be Gage and Guerrier have not been consistent. They both have been missing key spares and strikes and have failed under the pressure. If snipers can sweep this matchup they will still have a chance for playoffs. If they do not sweep, well you know the result. We expect Pin Smackers to take 14 points in this matchup. Abhi will flirt with a 300 game, and Sony and yell at Abhi for helping out other bowlers. The Strike Kings had their usual suspects bowling in their usual positions. Pin Smackers had the choice to match up their players to the Strike Kings and created the following match ups. The Pin Smackers were able to match up their players to the Strike Kings as they were the lower seeds. So they chose the following. This was an interesting choice as Joe looks like he would be a top bowler in the league. But looks can be deceiving as he was only able to take 1 point from Nisar. In Game 1 Nisar bowled a 103 to Joes 137. This allowed Joe to to easily take the point from Nisar. In Game two it was a different story as Joe bowled a 154 and Nisar responded with a 157. The same story in Game 3 as against Nisar bowled above his average and bowled a 143 to Joe’s 140. As Nisar even with out the handicap defeated Joe 2 out of 3 scratch to take 2 points. This was a wise choice on the part of Abhishek as both of these bowlers are evenly matched and have had great games and terrible games. This match up boiled down to which team was going to have a consistent game out of their bowler. Eugene struck first bowling a 192 in game 1 which is 33 pins above his average. Ammad responded by bowling a 124 which is 28 below his average as Eugene and the Pin Smackers destroyed the Strike Kings. Game 2 it was a complete role reversal as Eugene bowled a 109 which is 50 below his average and Ammad bowled a career high 210 which is 58 pins above his average. Then came the pivotal third game. Both Ammad and Eugene bowled similar games Eugene with 160 and Ammad with a 158 but alas that handicap came in to play and Ammad won this point taking 2 out of 3 points in this match up. Sony continues his ascent as one of the leagues up and coming bowlers. Sony was matched up with Don Ali and was able to take 2 out of 3 games from Sony. Game 1 Sony bowled a 173 to Don Ali’s 190. But when you factor in the handicap and that Sony bowled 4 pins above his average and Don Ali was 12 below. This was a Pin Smacker point. Game 2 Don Ali and Ammad started the game out with 3 strikes each. Don Ali cruised bowling 234 or 32 pins above his average. Sony bowled a 182 which was above his average as well but not enough as Strike Kings avenged a near clean sweep at the hands of the Pin Smackers in game 1 to do the same to the Pin Smackers in game 2. Game 3 Don Ali bowled 192 but Sony beat him scratch with a 206 completing the Pin Smackers victory as he took 2 out of 3 points. Abhi fresh off of his perfect game had to have had a slight let down. In Game 1 he bowled a 179 which was 18 pins below his average. This made him ripe for the picking. Eddie bowled a 170 and although this was below his average he was still able to take the win in game 1 for the only Strike Kings point in game 1. In game 2 Abhishek rebounded and kept the Pin Smackers within striking distance. This would prove to be huge as the Strike Kings were facing a 80 pin deficit going in to game 2. Abhi bowled a 255 and won the only point for his team. But it allowed the Pin Smackers to only lose by 40 pins. Eddie bowled a 135 which was 44 below his average but no one was going to beat Abhi’s 255. In game 3 the crucial game Abhi bowled a 205 which was 8 pins above his average. Eddie bowled 11 under his average for a 168. Pin Smackers take 2 out of three in this match up. Over all the Pin Smackers won 14-9. If not for Abhi’s phenomenal performance in game 2, we very well could be talking about a 12-11 loss for the Pin Smackers. Abhi put that team on his back in game 2. For the Strike Kings this was a team that wasn’t picked in the choice round and faced the Pin Smackers. Strike Kings with another week of inconsistent bowling. 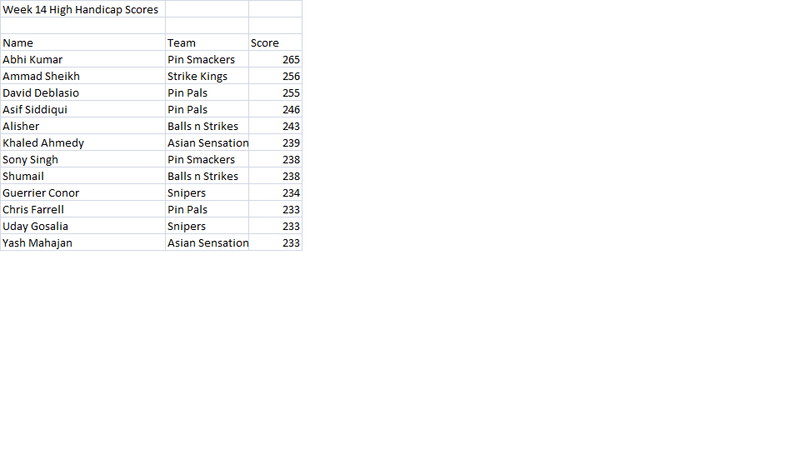 In order for the Strike Kings to win they need all 4 bowlers to have average to above average games. Strike Kings bowled below 800 two times with handicap this weekend. Performances like this aren’t going to help the Strike Kings. In a single game anything is possible but in a three game playoff, a lot of teams are looking at the Strike Kings as the team that they want to play in order to advance. A possible championship preview where two of the heavy weights will be going against each other this sunday. The Pin Pals have been on fire lately dominating the competition moving all the way up to 2nd place. The Pin Pals are led by MVP favorite Asif Siddiqui who has been bowling better every week. Expect him to bowl his best in this bowling match as he will be going against the number one bowler in the league in Jason Reis. Chris Farrel and David Deblasio are maybe the best well kept secret in this league. They are a better secret than the secret recipe for the goodburger sauce. They have potential to bowl in the 200's and really make it difficult for their opponenets. 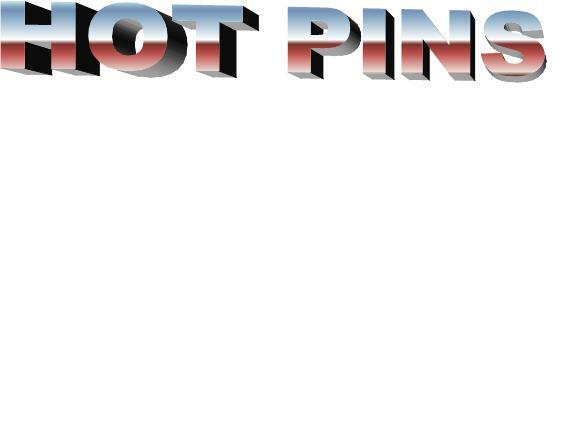 With all this firepower there is no way the Pin Pals can lose. We forgot to mention Ayaz Dar won't be showing up to this matchup which may change the outcome of the game. 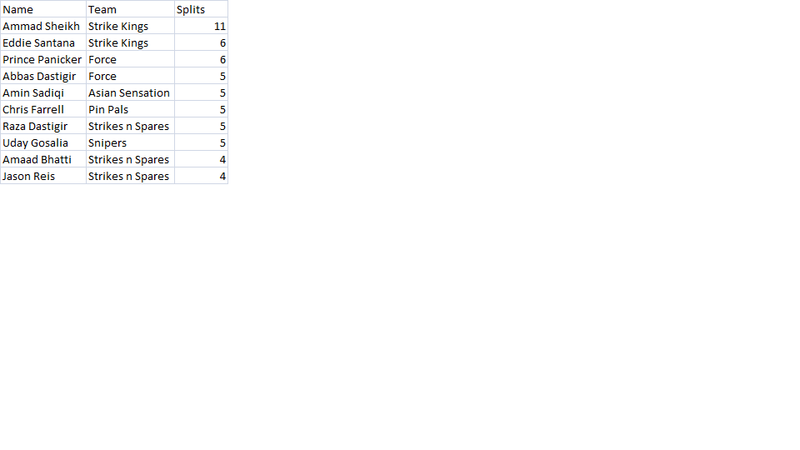 Strikes n Spares are geting to be known as the most overrated 1st place team in South Asian Bowling history. They have lost two weeks in a row and are fading fast. A once 25+ point lead has shrunk to a mere 12 points. Raza and Mufthy Dastigir have been alittle off lately, and we will find out how they bowl under the pressure. They both start off very slow which could spell trouble for SNS. Amaad Bhatti is known as the best lead off man in the game and he will be battling Chris. Amaad has to bowl well especially against Chris's high handicap. Then we have the undisputed champion of the world in Jason Reis. Jason not only has the highest average, game and series, but leads the head to head matchup against Asif. Jason is known for his surprises leading up to the matchup so we will wait and see what happens. Without Ayaz showing up expect SNS to easily take 16+ points from this match. With Ayaz there the Pin Pals will probably squeak out a victory. WOW just WOW. Balls n Strikes defeats Strikes n Spares to get their season series to 1-0-1. Instead of saying WAHIDDDDDD, Shumail is telling Raza YOU CANT BEAT US!!!!!! Remember when Eddie was a good bowler? Remember when Strike Kings was a good team. Wait you may remember when Pluto was a planet. All three statements have been dissapointing us as Strike Kings is rolling down the hill like Jack and Jill. Strikes n Spares nation is getting very nervous after a defeat to Balls n Strikes. This is their 2nd week losing in a row and they showed they can not beat Balls n Strikes. A team that looked so dominant suddenly looks very vulnerable. Hey Force, nice job showing up with three guys. What happeend did you forget to set your alarm clock? I have never seen Sony and Abhi so emotional after watching them last week. They know they need to start stringing wins together if they wanan sneak into the playoffs. The question is will Sneaky Sneaky Sony bowl well enough to sneak into the playoffs? You have to feel bad for this team. This week Uday stepped it up big time but they still got destroyed by Pin Pals for a 2nd straight week. Oh well, at least the Ravens won the Superbowl. The first match-up between these two teams ended with Balls N Strikes winning 2 out 3 but ending with a tie in total pins. The second meeting has BnS winning convincingly against SnS. Started off with a back and forth game, with neither team taking a big lead. Raza and Omair struggled early while Jason and Amaad kept the game close for SnS. All was going well for BnS with a small lead going into the 8th frame. Then the choking began. Leaving the entire 8th frame open, allowing SnS to take a lead going into the 9th. SnS continued to bowl well to close out the game whereas SnS struggled and missed out on a big opportunity to win. Even with a tough loss in game 1 BnS came out firing. While SnS entered into splitsville. This game wasn’t a one in which you could say BnS dominated. They bowled well but not well enough to win so convincingly. SnS just plain sucked this game. Jason bowls near 70 pins below his average, Omair barely cracks 100, and Raza has a poor showing as well. They only bright spot was Amaad continuing his good week. BnS improved on game 1 when SnS didn't. BnS built on the momentum of game 2. Leaving only 2 open frames in the first half of the game. They took a big lead early and carried the momentum until the end of the game. SnS put in a decent effort but just couldn't catch up after the great start SnS had. Alisher and Ali bowled well above their averages and Shumail and Wahid continued their good week. 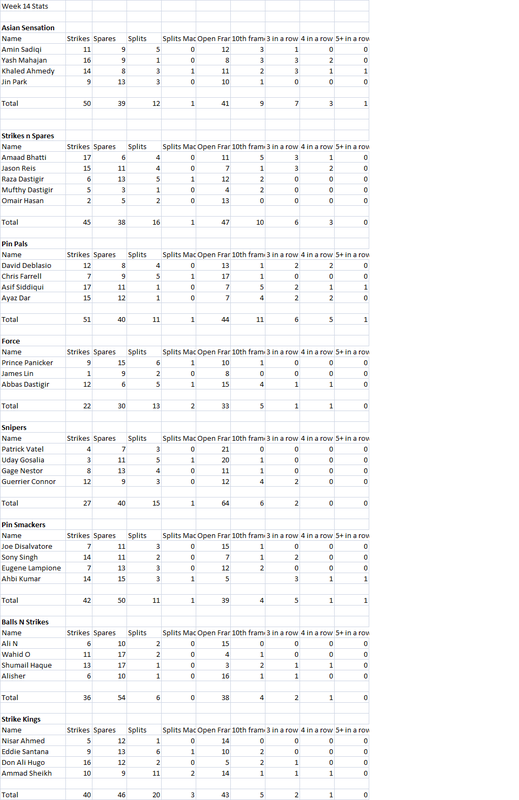 BnS averaged 43 pins above their average whereas SnS avg 29 pins below their avg in each game. 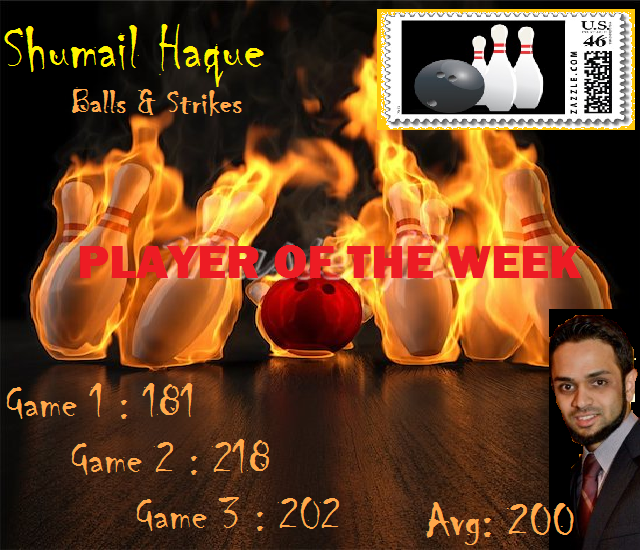 This Weeks Player of the Week goes to Balls & Strikes Shumail Haque . The Mailman bowled a 601 series and led his team to a HUGE win against the #1 team in the league Strikes & Spares . Shumail won all 3 of his match up points which helped his team move up in the standings from 5th to 4th . Host Ayaz Daddy Dar is joined by Ammad Sheikh who came in to the show and told it like it is. Even Ayaz was surprised at the answers that Ammad gave to him. This weeks Player of the Week goes to Alan Tang of team Force . Allan bowled 58 pins above his average and won all 3 of his match up points . He went from a 148 average to a 163 in just one week . Most importantly his team won a very important position match against the Pin Smackers .